When you visit our pediatric dental office, your child's smile is our top priority. Dr. Peter Suh and our entire team are dedicated to providing your child (infants, children, adolescents, and individual with special health care needs) with the personalized, gentle care that they deserve. We genuinely hope this site is helpful to you in learning more about our practice, dental conditions and treatments, dental recommendations, and dental videos. Proudly serving La Canada Flintridge, La Crescenta, Glendale, and Pasadena are nearby cities. 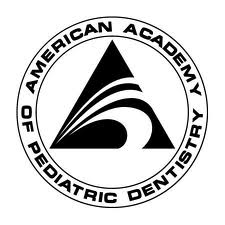 La Canada Flintridge, CA Pediatric Dentist, Peter S. Suh, DMD is a dental professional dedicated to excellence in Pediatric Dentistry for children. Available treatments include Pediatric Dental Cleanings, Introductory Exams, Children’s X-rays, Fluoride Treatments, Sealants, Fillings, Crowns, Root Canal Treatments, Extractions, Emergency Care, and more.